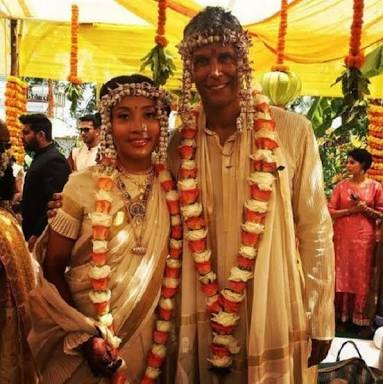 52-year-old Milind Soman, Ironman and a fitness enthusiast and Ankita a former air hostess and now a marathoner runner have finally tied the knot earlier this Sunday morning. 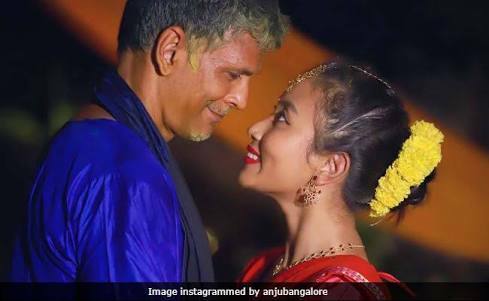 Milind Soman’s relationship with girlfriend Ankita Konwar has been in the news for a while now. 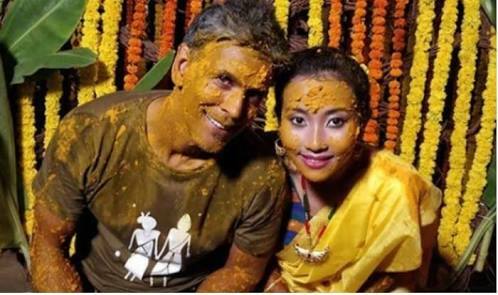 Their distinct age difference has been quite a talk of the town and the internet; however, the duo did not give any weightage to the criticism, and finally got married. 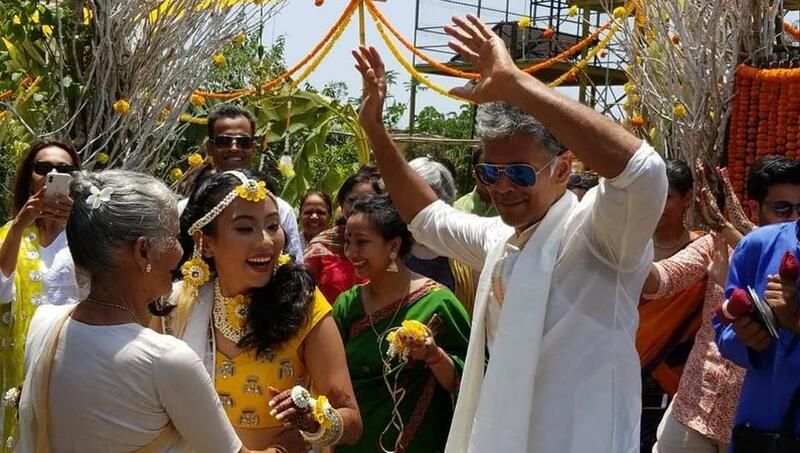 The couple had a traditional Maharashtrian wedding in Alibaug in the presence of their family and close friends this Sunday morning. 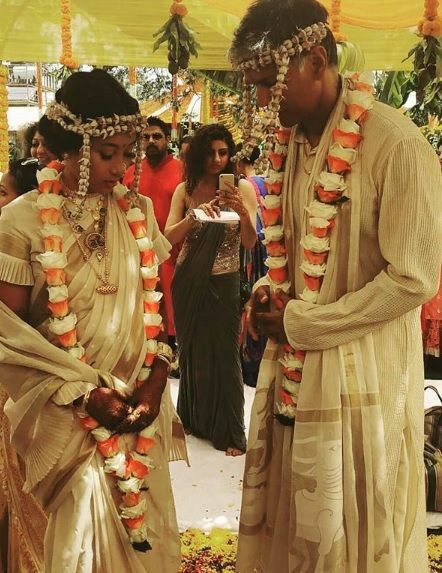 The couple colour coordinated in white and golden traditional outfits and looked absolutely adorable together. 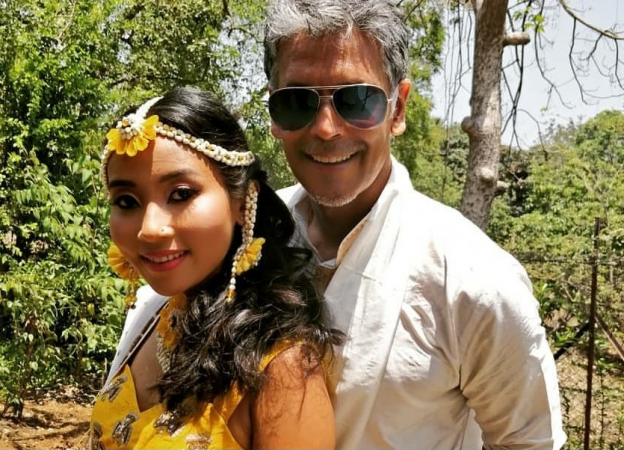 Both Milind Soman and Ankita Konwar were colour coordinated in white and looked absolutely adorable. 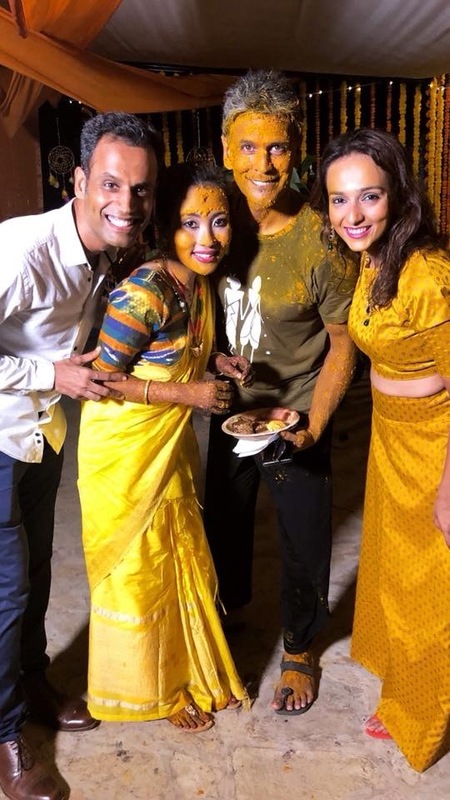 The pre-wedding celebrations included a Mehendi function, a Haldi ceremony and a sangeet which were held in Alibaug on Saturday 21st April. Well, social media was quite lit and flooded with the couple’s pictures. The pictures definitely make you believe that marriage needs the right time, not the right age. Well, ladies, it’s time to let Milind go!